Have you heard of Popcorn Time, the Win/Mac/iOS/Android/Linux torrent app that easily streams high-quality copies of pirated movies straight to your computer? Much like The Pirate Bay has over the years, Popcorn Time recently lost its original domain because of its association with, well, piracy. As most of you may have noticed, our domain has been removed. This is due to some sort of legal investigation against Popcorn Time. A legal investigation who’s trying to do everything within its power to make Popcorn Time disappear from this world. WE WILL NOT LET THIS HAPPEN!!!!! A lot of their traffic undoubtedly came from search engine traffic, as their name isn’t yet well-recognized enough to stand on its own (like The Pirate Bay’s has become). What do you do when you’re an aspiring pirate startup and your domain registration is revoked? In their blog post, Popcorn Time pleas for their fans to blog about their new domain name to restore their search ranking. The only way Pochoclin and us will be able to overcome this blow, is if you all help us get back on Google. And how can you do this?? See, our existance [sic] depends on Google! And what Google likes most is when websites get talked about. The more people mention one website, share that site’s URL, in various different platforms, the more Google understands that this site is popular and needs to show up in the search results!!! So we need to get talked about. We need to get our new URL http://www.popcorn-time.se EVERYWHERE!!!!!!!!!!!!! Forums, blogs, articles, Facebook, Twitter and where ever. Have a blog? Write about us. Active in a forum? Write about us. You’re a reporter somewhere? Hell yeh!!!! Write about us. Social networks? Share, talk, urge other people to share. Help us get the word around, let Google know that Popcorn Time is ALIVE AND KICKING!!! Just in a different URL. So in a few seconds, when you’re finished reading this post, please HELP. Help us to not let all our hard work in the past 6 months go to waste. Show us what you all can do!!! We know you can help us! As a digital marketer, I take away several interesting lessons here. First, their backlink request strategy is very good. They’re not asking for cheap links to their site; they’re asking for people to write about them. 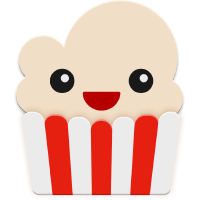 This elevates the kind of content produced about Popcorn Time and makes the link comply with Google’s standards. In short, it’s good SEO. Yeah, it’s hard to write so passionately about some subjects. 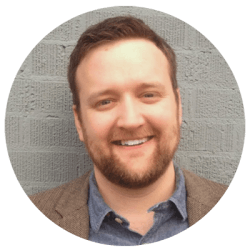 (I’ve had some copywriting clients that were… less than exciting to work for.) When you can actually communicate that passion, though, your audience feels it. Do you know what you can write passionately about? If not, what are you doing to find it? Great Content Almost Never Comes from Keyword Lists	Is the Amazon Echo Advertisement Terrible?